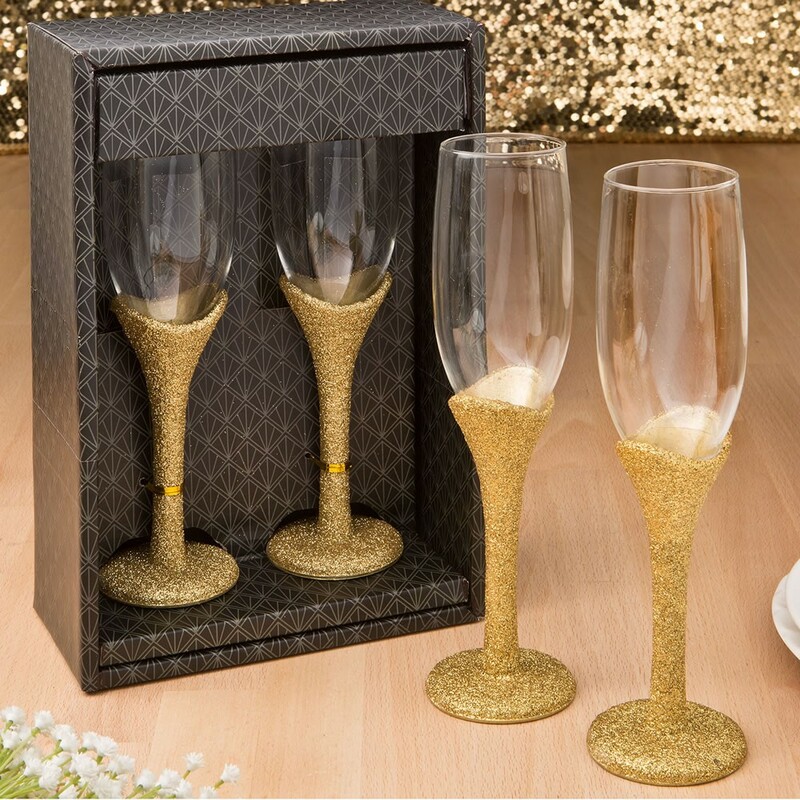 When a grand occasion calls for a toast, do it in style with our Golden Elegance Collection Champagne flutes! Each glass features a classic flute shape with a slender clear glass bowl on top and a long slim base. 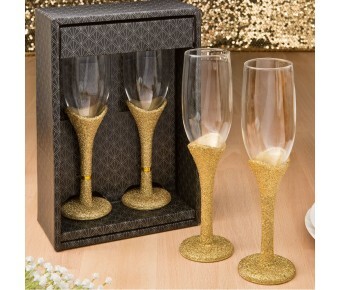 The base is crafted from sturdy poly resin and has an opulent gold glitter finish. 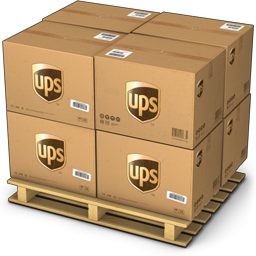 Each flute holds a capacity of 8 fluid ounces.